It is not safe to travel Iraq. 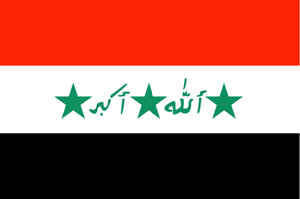 Iraq is a country in Asia (Western Asia) with around 29 million citizens and a land mass of 437,072 km². We detected travel advisories from 9 sources for this country. Iraq shares land borders with 6 neighbouring states. For this country, the Danger Index is 3.1 (average value for all countries). All countries habe been reported as somehow dangerous: Syria (5.0), Iran (3.3), Turkey (3.1), Saudi Arabia (2.5), Jordan with (2.4) and Kuwait with (2.4 of 5). See danger map of the region. Irak: Reise- und Sicherheitshinweise: Teilreisewarnung. The German government advises againt travelling this country. Do not travel to Iraq including the Kurdistan region, (except Erbil and Sulimaniyah cities) due to the volatile and unpredictable security situation, the ongoing threat of terrorism, violent extremism and organised crime. New Zealanders currently in Iraq with concerns for their safety are strongly advised to depart immediately. We've reviewed the travel advice for Iraq. We haven't changed the level – "Do not travel" to Iraq, including the Kurdish region. Do not travel to Iraq due to terrorism, kidnapping, and armed conflict. U.S. citizens in Iraq are at high risk for violence and kidnapping. Numerous terrorist and insurgent groups are active in Iraq and regularly attack both Iraqi security forces and civilians. Anti-U.S. sectarian militias may also threaten U.S. citizens and Western companies throughout Iraq. Attacks by improvised explosive devices (IEDs) occur frequently in many areas of the country, including Baghdad. The U.S. government’s ability to provide routine and emergency services to U.S. citizens in Iraq is extremely limited. On October 18, 2018, the Department of State ordered the temporary suspension of operations at the U.S. Consulate General in Basrah. The American Citizens Services (ACS) Section at the U.S. Embassy Baghdad will continue to provide consular services to U.S. citizens in Basrah. U.S. citizens should not travel through Iraq to Syria to engage in armed conflict, where they would face extreme personal risks (kidnapping, injury, or death) and legal risks (arrest, fines, and expulsion). The Kurdistan Regional Government stated that it will impose prison sentences of up to ten years on individuals who illegally cross the border. Additionally, fighting on behalf of, or supporting designated terrorist organizations, is a crime that can result in penalties, including prison time and large fines in the United States. Due to risks to civil aviation operating within or in the vicinity of Iraq, the Federal Aviation Administration (FAA) has issued a Notice to Airmen (NOTAM) and/or a Special Federal Aviation Regulation (SFAR). For more information, U.S. citizens should consult the Federal Aviation Administration’s Prohibitions, Restrictions and Notices. Read the Safety and Security section on the country information page. The Austrian Government advises again travelling Irak.